Heat or Ice - Which Should You Use on a Big Swollen Pimple? Heat or Ice – Which Should You Use on a Big Swollen Pimple? Do you ever get those big swollen pimples… the ones that are almost like a red hot swollen egg under your skin? You can use a spot treatment of choice if you feel it makes a difference, but another question is…. what about applying hot or cold? Sometimes people like to soak their sore muscles in hot water to help them feel better. But then, people also apply ice to sores and injuries too….. It seems like one of these options might help with a big painful pimple. But which one?? The last thing you want to do is the wrong thing and make it worse! When a pimple swells up like that, it’s because of inflammation. Inflammation is characterized by heat, redness, tenderness, and swelling. So, much like what you would do if you banged your knee and it swelled up, you would want to apply ice. The skin will temporarily get a bit red from the ice and you’re still going to have a red pustule type pimple, but it will bring the swelling down a lot quicker. So get an ice cube, a sack of peas, or a refreezable ice pack, wrap it in some paper towel (it should never be applied straight), and stick ‘er on. Ice for two minutes, and then remove for 5 minutes. Repeat four or five times or until you get sick of it. 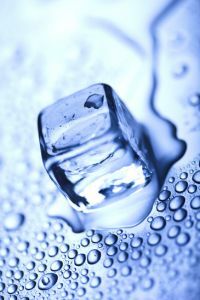 Don’t ice for more than a couple minutes at a time, or you risk damaging the tissue. You don’t want to give yourself frost bite! 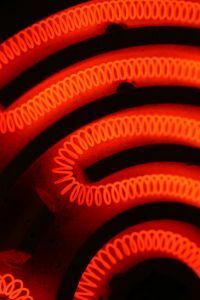 You can use heat when and if you are planning to pop a big juicy one. Not that I recommend popping, of course… but… well… I know you’re probably going to do it anyway. Wait until you *know* it’s going to go. There is a large white head and you know that it’s going to give if you give it a little squeeze. Squeezing before it’s ready is a rookie mistake. Don’t use your fingernails. Roll up two pieces of tissue, and use the hard edges to gently squeeze from both sides. The edges of a towel work even better. If the pus doesn’t come out with a gentle squeeze, give it up and come back later. So yes. This is when you would use heat. The corner of a towel soaked in fairly hot water applied for five minutes before the “surgery” should do it. After you’re done, applying ice as prescribed above will help minimize damage and quickly close up the wound. Do you ice your pimples? What about heat ’em before popping? How Do You Make A Big Pimple Go Away Fast? 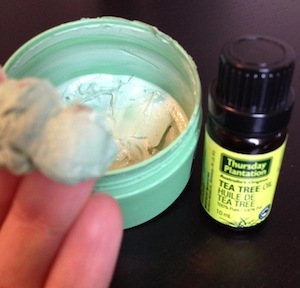 How to Use Tea Tree Oil to Treat Acne Cooking Video! 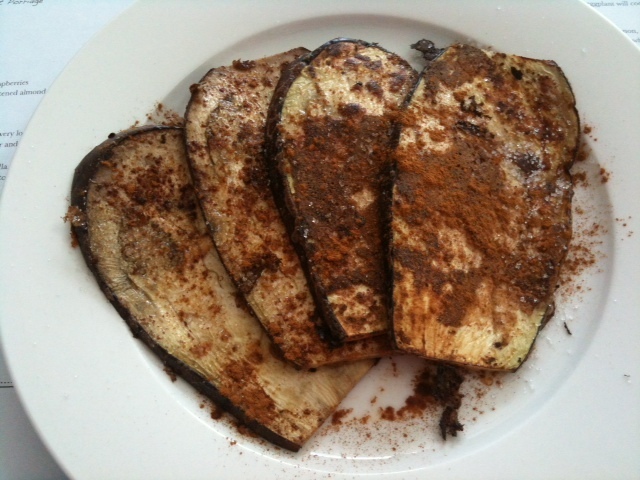 Coconut Pumpkin Soup How to Make Candida Safe French “Toast” Out of Eggplants! I have to confess…I have used the heat trick in the past. Thankfully I haven’t had a need for it in years. But never thought of ice to bring the swelling and inflammation down. Makes perfect sense… thanks Tracy! First of all, I love reading your articles and watching your videos. I’ve just been getting into holistic health, and they’re very informative. I have a question: have you ever had a patient who suffered breakouts after taking plan B? I took it a week ago and have been experiencing more breakouts than usual. They are mostly on my forehead and are hard, painful, skin-colored lumps that never seem to come to a head. It could be stress related on top of the hormonal imbalance caused by the plan B (likely, as i’ve felt very stressed out lately and am a natural worrier, haha). What would you recommend to heal these? I’ve been thinking about getting my hormones tested. Thanks for the response! It’s been a few days and already my skin is clearing up. I think I was worried over nothing haha. What I’ve noticed is that my skin flares up the most when I’m under a lot of stress, which is interesting. I’d never really thought about that correlation before, but I guess stress does all kinds of things to our bodies. I’ll look into it. Anyway, thank you for your kind & reassuring words! I look forward to reading your new content. I live in northern Europe where we go a lot to sauna…yes, the heat indeed makes it so that all “stuff” comes afterwards easily to surface. That’s why I don’t do it before a party or important meeting etc.! haha yes, “fast” is certainly relative. I do feel like ice takes down big swelling quickly. Like I said though, you’re still going to have a zit after though! Firts of all sorry for my English (I’m Spanish). And thanks for all your advices to treat and cure this condition. I have very sensitive skin with redness and acne in my jawline and chin. I think it’s rosacea. And I would like to try niacinamide since I have tried before antibiotics, finacea, caveman régimen, a good diet. But nothing seems to work. It improves but never gets cured. I would like to try niacinamide. But aloe makes my skin red and itchy, so I would like to another thing to mix it with. My daily cream has citric acid in it so it’s not compatible with niacinamide, I think. And at night I use hemp seed oil, so it isn’t compatible too. Could you advise me someting to mix with niacinamide compatible with sensitive skin? Best regards and thanks a lot ? Thanks a lot for your quick reply. I have never tried topical green tea before, I will try it. But just in case it irritates my skin could I use chamomile tea? I have one out of topic question about oils. I found this brand http://www.haut-segala.com/en/plant-vegetable-pure-oils-anglais.html and thinking if they are safe and 100% natural ? Maybe you have some experience or information 🙂 Thanks! I had a pimple in the middle of the cheek, unusually long, several weeks. At first I was worried if it was something more serious, like a mole. I tried to squeeze, but nothing came out. Luckily it was quite invisible with make-up, but I could feel this unpleasant hard lump somewhere deep under the skin. Then I went to a beauty salon and the lady made a hole with a sterile needle and then this disgusting “stuff” came out 🙂 After a couple of days it healed completely, no red marks or scars, and I can get them easily! So I was thinking, this rule, that pimples should never be picked or popped… Maybe sometimes they need a little extra, external help? But of course, it is better then that it is done by a professional.